The perfect dessert. 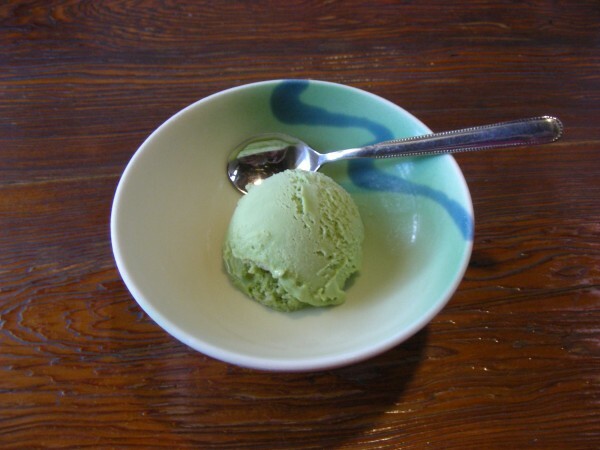 Green tea ice-cream. Hot and humid weather in Okazaki City now, as the rainy season has finally given way to summer. Our classrooms are air-conditioned and comfortable, and the dress code is casual. The students are doing well, commuting by bicycle or train, and making good progress on grammar, listening comprehension, vocabulary and reading skills. Bright and intelligent kids. Speaking skills are coming along gradually, but as a student lamented today, the days are flying by all too fast. 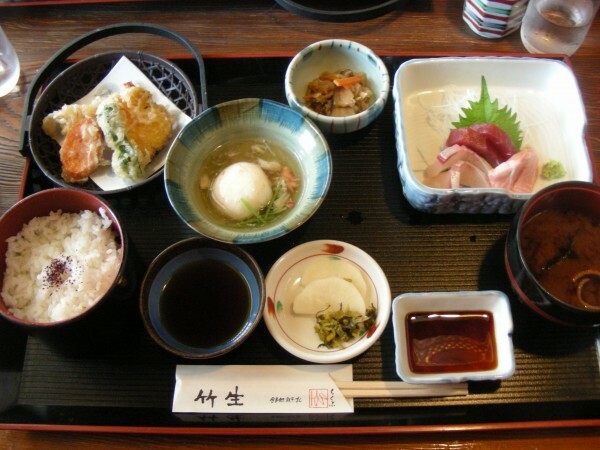 Our lunch today was at another restaurant nearby called Chikubu (竹生）. It is a really nice place, traditional style, and our first visit since the spring. We enjoyed some really good sashimi, and then our Kanji review was interrupted by the unexpected arrival of dessert. 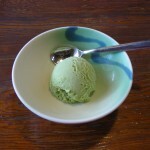 (We put the Kanji review aside of course, ice cream had precedence).